Marriage is something special, because it marks the commitment you make to someone for the rest of your lives, but a vow renewal is sometimes even sweeter, because it is a sweet moment for you and your love to reaffirm your love for one another, your commitment, and your family after you’ve said I do’s. Kerry and Luke’s seven year vow renewal took place at the Oak Tree Suite at a hotel in Santa Barbara, on a hill overlooking the ocean, surrounded by lush greens and banana leaves. 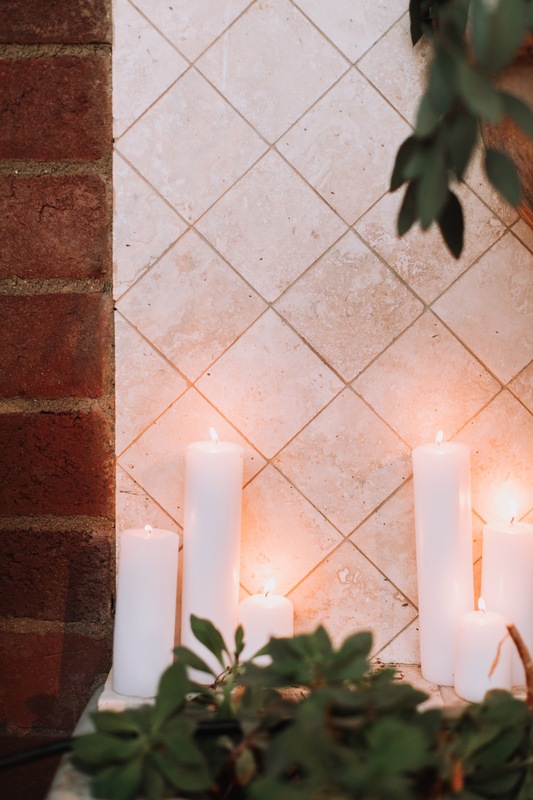 The white pueblo Spanish style buildings were gorgeous paired with her metallic lanterns and candles, lining the aisle off their brick and stone private patio. There was cocktail hour with friends, a live harp strumming serenades, and a ceremony to take place after the sun set, illuminated only by candle-light in the night. Kerry and Luke, now married for seven years, have a wonderful and sweet daughter in their life, whom was the cutest flower girl you ever did see, with a lace gown of her own, Disney princess tiara and pink jeweled slippers, and her mother’s diamond necklace to wear. Capturing their family in addition to the love between both Kerry and Luke was such an honor and such a special way to commemorate their vow renewal. Seeing how the two of them surrounding themselves with their closest family and friends, sharing in their joy, commitment, and inside jokes and pet names, was a true testament to what was most important to these two. Cheers to seven years together, and many more to come!